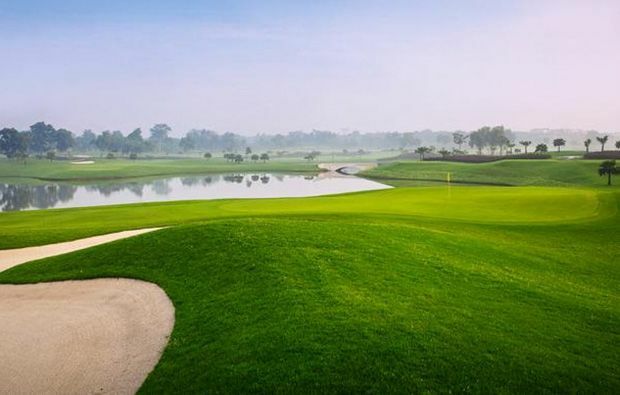 All three courses, The North, West and South courses are of similar length at around 3300 meters from the back tees, but Moore Junior has created a golf course which will appeal to all golfers of all levels, which is testament to his creativity and attention to detail. 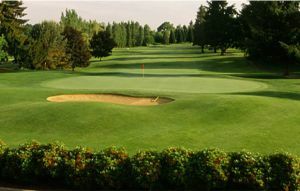 The variety of holes provides the golfer with a different challenge on every hole and keeps testing the golfer. 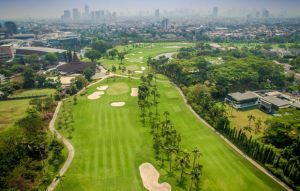 The South course offers two of Royale Jakarta’s signature holes; the par 3 6th, requires a long carry over the water to a generous green, well protected to the right by bunkers. Anything left and you will end in a watery grave, club selection is key on this hole. The ninth is also in contention as being the signature hole, a long par 5 with water running the length of the hole to the left. A well-positioned drive to avoid both the water and the pot bunkers to the right of the hole is required. An even better positioned second just over the creek that splits the fairway in two will leave a simple approach to the green protected by a number of bunkers and of course the water. On the north course the par 3, 4th is tough. 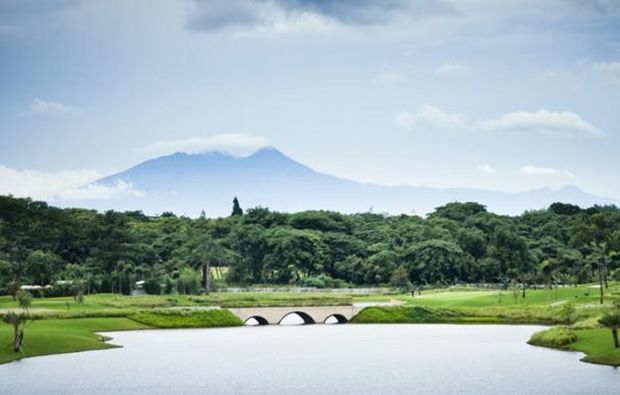 Played over a large expanse of water to a green that slopes towards the water it is a tough par 3 considering its length of only 150 meters from the back tees. The fifth also deserves a mention, offering two options to the golfer from the tee. 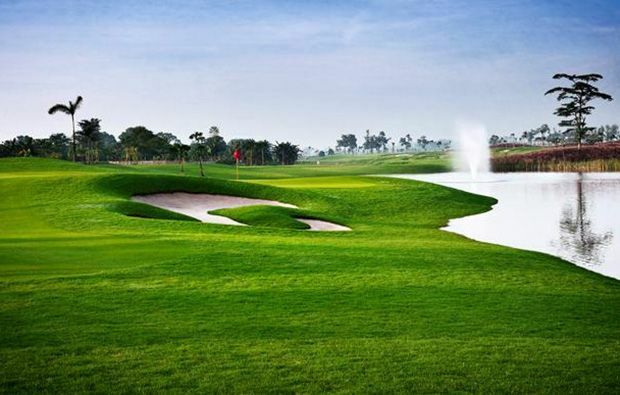 Longer hitters will want to try and carry the rice paddy to leave a short approach to green, play to right of the fariway bunkers and your approach will be longer. A large bunker to the right awaits anything offline. On the west course the short par 4, 6th will tempt the longer hitter to go for the green from the tee. A cluster of fairway bunkers to the left must be carried, whilst the green entrance is protected left and right by two further bunkers. A great risk and reward hole. The final hole on the west course is spectacular and for me is in the running as the best hole on the course. It is reachable for the longer hitter, but by no means is it easy to get home in two. 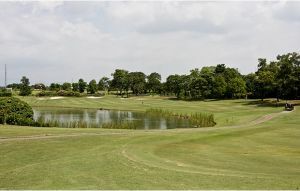 You will need to avoid the expanse of water running the length of the hole to the right and if you are going for the grandstand finish you will be faced with a myriad of bunkers protecting the green, a small entrance to the green between the bunker on the left and the water on the right could provide the perfect birdie opportunity. 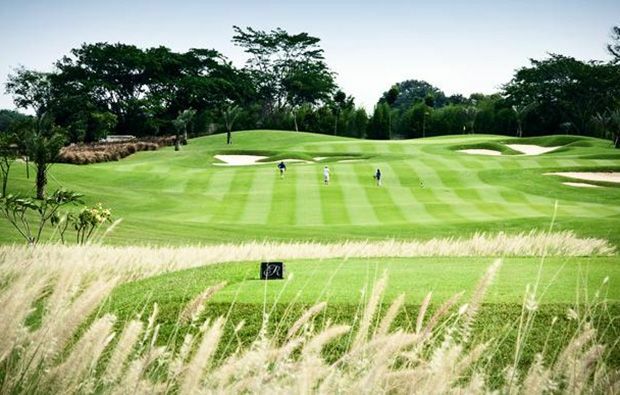 This is such a popular course that securing tee times here is not easy, especially at weekends so much better to play midweek if you are on holiday. 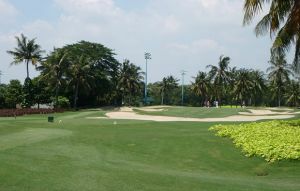 Royale Jakarta Golf Club has different Services to offer. Choose a date and number or players to see the rates.